Oliver Sacks: An Appreciation : 13.7: Cosmos And Culture Sacks turns 80 this year. Philosopher Alva Noë asks the question: What makes Sacks' work so important? 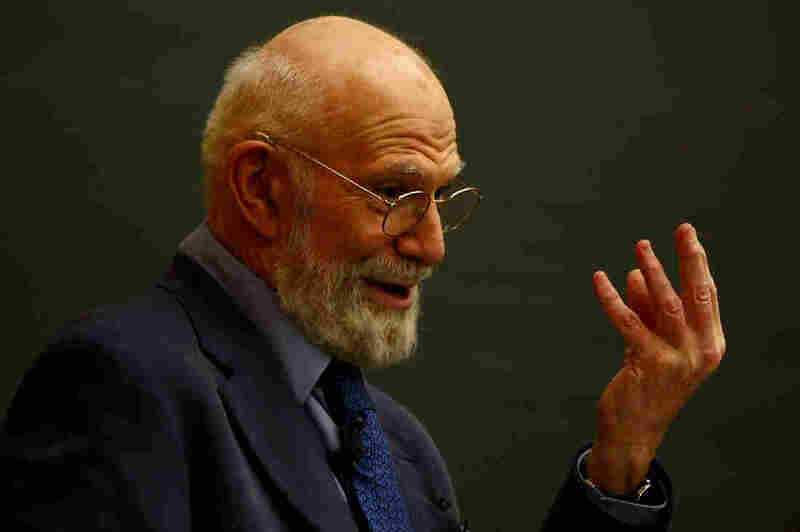 A comment I heard more than once at a recent event in New York to celebrate the life of Oliver Sacks, who turns 80 this year, is that it isn't Sacks' patients who are particularly interesting; it is the interest that Sacks brings to them that makes them special. He has good eyes. Sacks writes like an angel, said one friend of mine. It is a striking fact that his case studies — collected in The Man Who Mistook His Wife for a Hat, and An Anthropologist on Mars, as well as in other works such as Awakenings and Musicophilia — are never voyeuristic. His attitude is that of the healer, after all. He seeks to comprehend, to make sense, but always from near to. He is not disinterested. He is not dispassionate. You might have thought that getting too close was incompatible with the more detached standpoint seemingly required by science. What Sacks' work suggests is another possibility. Maybe you need to get close to us study us. This could mean that there can't be a proper science of the human. Or maybe it means that a true science of the human must take a different form than that which we know from other branches of learning. Maybe you need the viewpoint of a good doctor, rather than that of, say, an entomologist, to bring us in to focus for ourselves. We find a clue by turning our attention to dualism. I don't have in mind the dualism of mind and body, but rather something very closely related. Every one of us has two parts. Each of us is a human being, first of all. That is, a particular kind of animal, an organism. Our lives are shaped by our particular development history, as well as well that of our evolutionary heritage. Like Gregor Samsa, the man in the Kafka story who wakes up to find that he is an insect, we are saddled with our biological condition. Aches, tickles, twinges, urges, burns, the very weight of the Earth's gravity, all this is given to us. Here we are, occupants of a somatic landscape that is not of our own devising. In so far as we are human animals, we just find ourselves here. But we are not only human beings. We are also persons. And our personhood is not something we are just saddled with. You don't just wake and find yourself a mother, or husband, a gardener, or citizen. Personhood is a work in progress. We achieve ourselves as persons. Just as we don't simply wake up one day and find that we can read. We learn to read. The remarkable thing is that, for one who has learned to read, reading is, well, it is second nature. And so with our personal selves. We are doctors, athletes, scientists and students. It is our nature to play these roles. It is second nature. I believe that one of the chief intellectual problems for our time is to understand how we can be organisms who are also persons, how to fit our first and second natures together into one whole. It is the besetting sin of our intellectual culture to be tempted to think that we can reduce the person to the human being. That each of you is nothing more than, well, your brain, as Francis Crick once claimed. The challenge we face — we who want to understand ourselves — is to realize that our status as persons no less than our status as human beings, belongs to our very nature and that ultimately we need to shape a conception of human nature that can comprehend both ourselves as persons and ourselves as organisms. How do you do it? How do you bring us into focus? Enter Oliver Sacks. He makes a contribution to this large and important crux of issues. A striking thing is that Sacks' work exhibits a dualism in its own right. The dualism of science and story telling. He is a scientist, and he is a story teller. Perhaps this is no accident. It is his genius — or perhaps I should say: that of medicine itself — to appreciate that, when it to comes to ourselves, scientific dispassion is not enough. For we ourselves are two-fold: we are organisms, with lives that begin and end, but also persons, whose lives, like all good stories, have first and second acts, and endings. No stories, no persons: you need the stance of the story teller to bring us into view. So it turns out that Sacks' method — close attention to the person, collaborative engagement with the patient — might be exactly the right method to bring whole person/human being into focus. If this is right, then Sacks shouldn't be thought of as a good scientist with a knack for writing. Rather, he is a physician who understands that a person is more than a human being and that the story is the thing. I presented some of these ideas to an audience including Sacks at the meeting. He thanked me afterward and had only one comment. "I believe that some octopi are persons." You'd have to know an octopus to be in a position to say.